Are you new to homeschooling? Feeling burned out? Overwhelmed with your current schedule? Longing for the big yellow bus to make a stop at your house? Well, I can tell you that you are not alone. 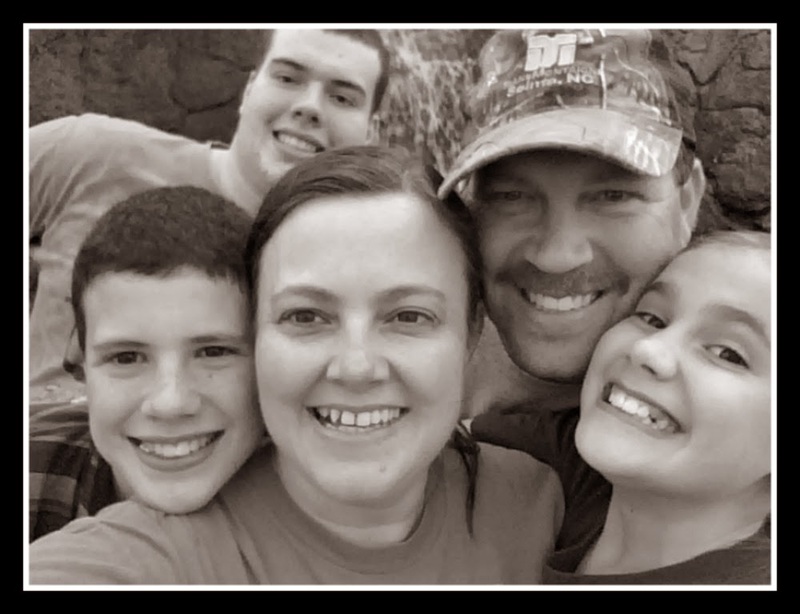 Many homeschoolers have felt that way at some time or another but you do not have to face those fearful decisions and questions alone these days. 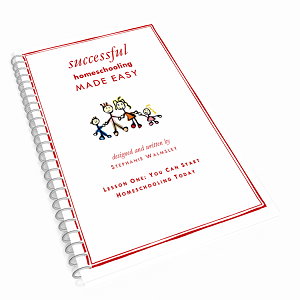 Veteran homeschool moms are there to help you and that's where today's review, Successful Homeschooling Made Easy comes to the rescue! 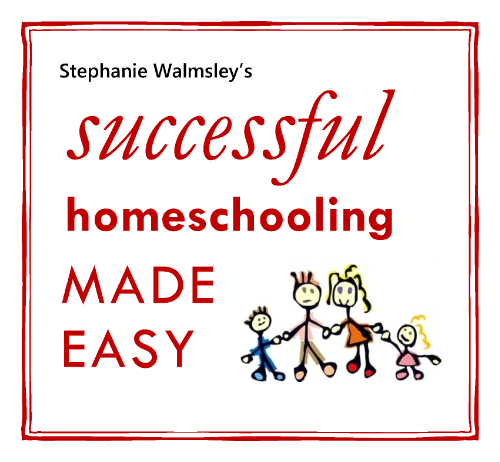 Stephanie Walmsley has designed a practical online course, Successful Homeschooling Made Easy Course, to guide new and burned out homeschoolers to success. When you sign up for the Successful Homeschooling Made Easy Course, you will be sent weekly emails for 26 weeks that contain step by step instructions in PDF format on how to get your schedule, homeschool, and housekeeping back to where you desire it to be. Ms. Walmsley recommends printing the lessons and placing them in a binder for future reference as well. The cost of the course can be broken down into monthly payments of $10 for six months or you can pay $48 for the entire course at once to save. In each of the weekly lessons, you will be given an assignment that is due by the next week. The assignments are for your benefit and do not have to be turned in any where but each lesson adds a little more to the previous one. For instance, in Lesson 1, you will decide on what day and time each week you will focus on this course. The only homeschool component for week 1 is a literacy hour where you and your child will sit, read, and write for one hour. This allows you time to focus on the weekly lessons ahead. 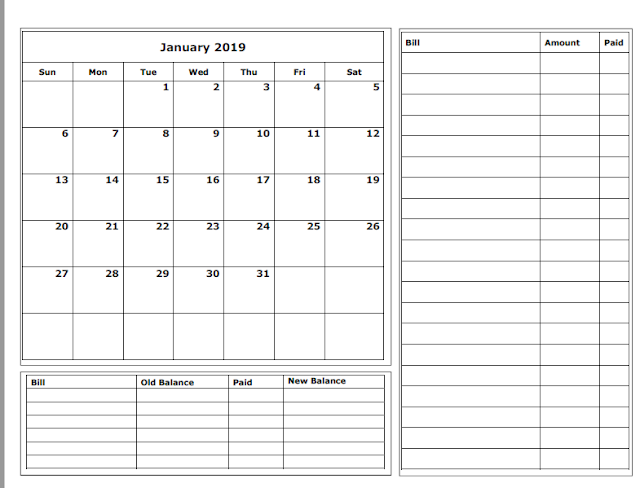 You will also make a simple schedule focused on your family and your homeschool answering such questions as: What time do you get up each morning? What morning chores work best for your family? Does your family work best in the morning or afternoon? When you find the answers to these questions, you will then incorporate them into your new schedule. Each lesson thereafter, you will add in another detail until you finish the course and have your homeschool back up and running for success. I have been homeschooling for 7 years now so I'm not exactly a newbie but I have had my fair share of funks. I've also had my share of what I "thought" our homeschool should look like. To be successful, I "thought" we should begin our day early but my husband works 2nd shift so starting early doesn't really work for us right now. 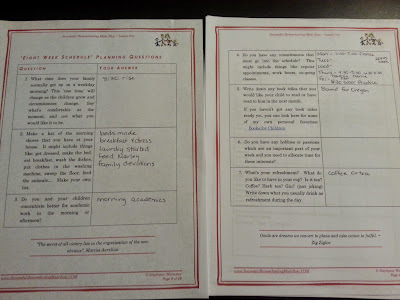 The Successful Homeschooling Made Easy Course gave me permission to do what works for us and not to compare with others. I'm pretty good about not comparing with others but I often fail when it comes to comparing with my own thoughts of what I think things should look like. 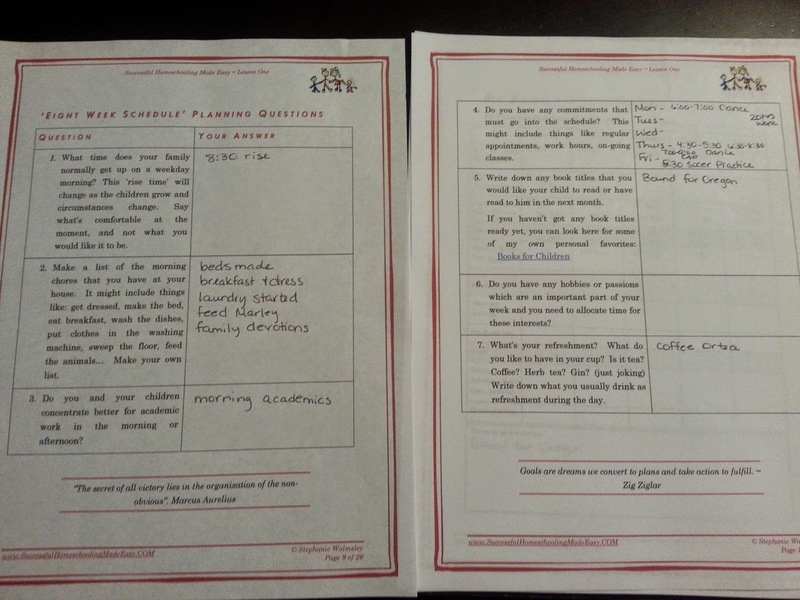 As the lessons came in I read through them and completed the homework as appropriate to our homeschool. I made a separate folder on my computer titled SHME and filed all the PDF documents in there for future reference. I printed out any worksheets that I wanted to work through or checklist pages. Some things we already have a good groove working in so it did not make sense to disrupt those areas. We have received 9 weeks so far and I continue to look forward to each weekly lesson. It's like having a friend come into your home to encourage, guide, and direct you. I think any homeschool mom could gain insight from this course. It's especially great for first time homeschoolers and those who are feeling exhausted and overwhelmed with their current efforts. Successful Homeschooling Made Easy is a perfect name because it makes it so easy to go back to the basics of why we began homeschooling to begin with. Successful Homeschooling Made Easy can also be found on Facebook.